On September 13, 2017 CFKWC made a donation to the family of Edarwin Santana 8yrs old, from the South End. The donation was made at Boston Police Dept. Area D-4. 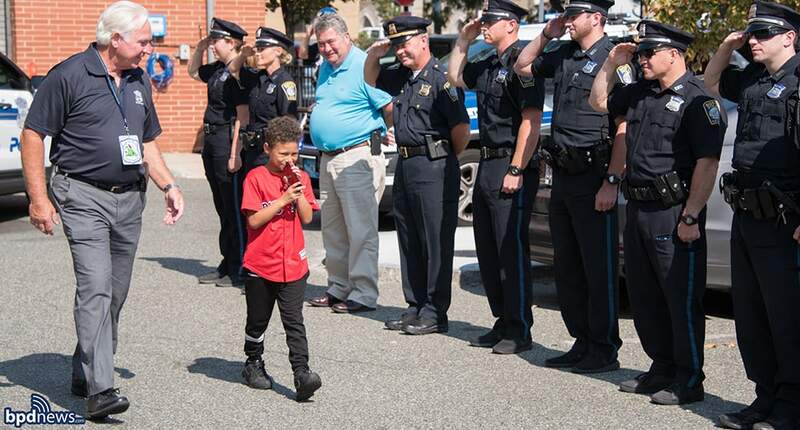 Edarwin and family were escorted to the Station by BPD Motorcycle Officers. Edarwin was greeted by the D-4 Police Officers, and he shook all of their hands. 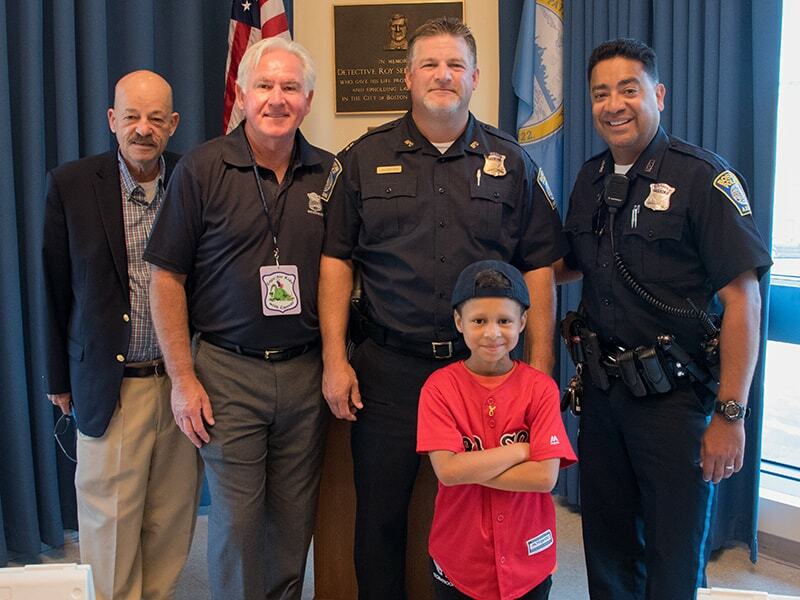 CFKWC Paul Ivens and Steve DaCorta were on hand to make the donation along with Captain Wayne Lanchester and Officer Javiar Pagan. Photos courtesy of BPD News.